I had to make something a little outside the box for graduation. 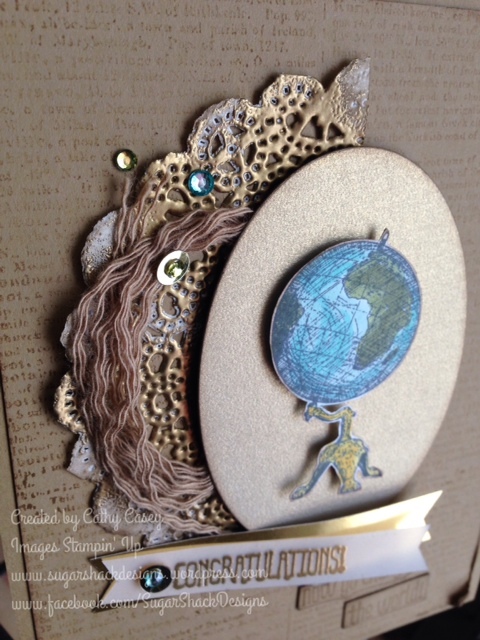 I love, love, love the new Traveler stamp set and I had to make something with the globe! I also used the new Something to Say stamp set for the sentiment. These two sets go together like peas & carrots for graduation! The other new product that I used that I am over the moon for are the Blendabilities Markers! These aren’t available for purchase yet so if you have to have them you just might want to consider signing up! It’s going to be only $50 to sign up starting tomorrow for a very limited time! Really! I used the markers to color the globe and the rhinestones! Aren’t those rhinestones gorgeous?????? I cannot get enough of this technique. 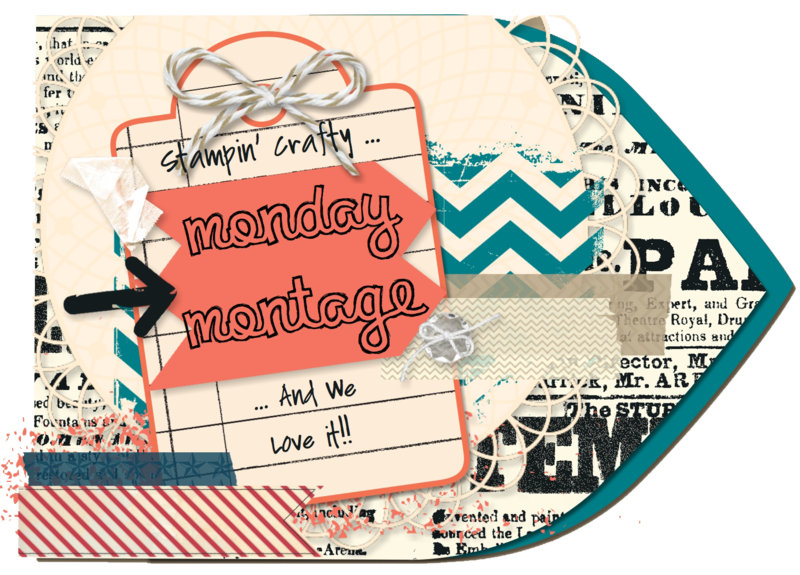 I hope you enjoyed this project I made to celebrate all the graduates this month! 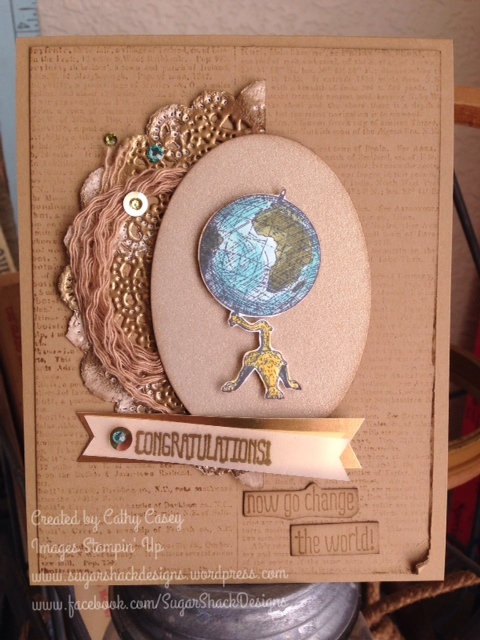 This entry was posted in 2013 Artisan Design Team Finalist, Stampin' Up, Techniques, Vintage by kate80132. Bookmark the permalink. This is gorgeous! I love all of your fabulous details! The colored rhinestones are amazing! And the embossed doily is too!